Very Good. 1848549008 ALL BOOKS SHIPPED WITHIN 1 DAY OF PURCHASE! This is an ex-library book and may have the usual library/used-book markings inside. This book has hardback covers. With usual stamps and markings, In good all round condition. Dust Jacket in good condition., 900grams, ISBN: 9781848548985. Fine. Before Longitude no one remembered John Harrison. 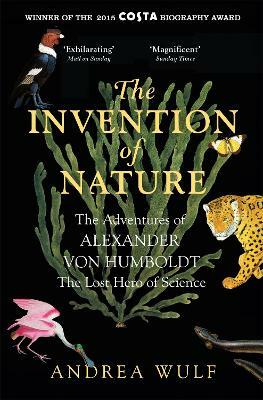 The Invention of Nature does the same for Alexander von Humboldt. B-format paperback. 496 p. Intended for college/higher education audience. Intended for professional and scholarly audience. Very Good. Before Longitude no one remembered John Harrison. The Invention of Nature does the same for Alexander von Humboldt. B-format paperback. 496 p. Intended for college/higher education audience. Intended for professional and scholarly audience.